Walter C. Willett, M.D., Dr. P.H. Dr. Willett is the Chairman of the Department of Nutrition and Professor of Epidemiology and Nutrition at Harvard School of Public Health. Dr. Willett, an American, was born in Hart, Michigan and grew up in Madison, Wisconsin, studied food science at Michigan State University, and graduated from the University of Michigan Medical School before obtaining a Doctorate in Public Health from Harvard School of Public Health. 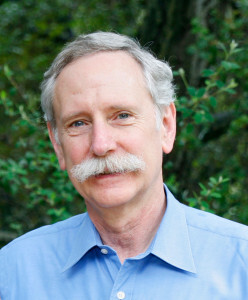 Dr. Willett has focused much of his work over the last 35 years on the development of methods, using both questionnaire and biochemical approaches, to study the effects of diet on the occurrence of major diseases. He has applied these methods starting in 1980 in the Nurses’ Health Studies I and II and the Health Professionals Follow-up Study. Together, these cohorts that include nearly 300,000 men and women with repeated dietary assessments are providing the most detailed information on the long-term health consequences of food choices. Dr. Willett has published over 1,500 articles, primarily on lifestyle risk factors for heart disease and cancer, and has written the textbook, Nutritional Epidemiology, published by Oxford University Press. He also has four books for the general public, Eat, Drink and Be Healthy: The Harvard Medical School Guide to Healthy Eating, which has appeared on most major bestseller lists, Eat, Drink, and Weigh Less, co-authored with Mollie Katzen, The Fertility Diet, co-authored with Jorge Chavarro and Pat Skerrett and most recently Thinfluence, co-authored with Malissa Wood and Dan Childs. Dr. Willett is the most cited nutritionist internationally, and is among the five most cited persons in all fields of clinical science. He is a member of the Institute of Medicine of the National Academy of Sciences and the recipient of many national and international awards for his research.